Ideal for the elderly and anyone who lacks a fair share of sun shine. 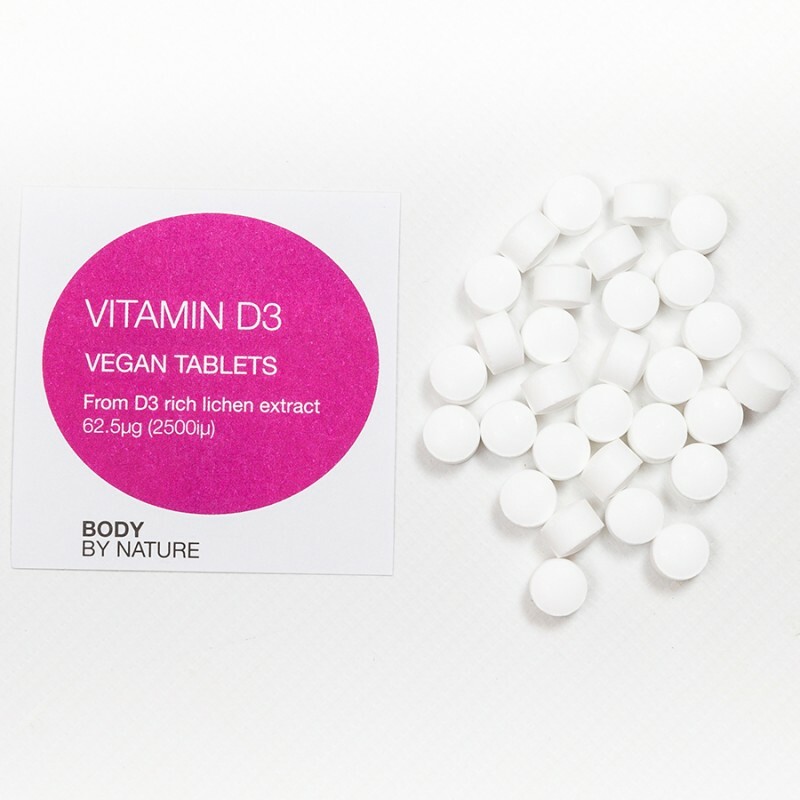 Ideal for vegetarians and vegans this Wholefood vitamin D3 comprises a natural plant base of lichen. High Potency at 1250% RDA per tablet. A Vegan, Wholefood plant base: from vitamin D3-rich lichen extract. Vitamin D is most commonly associated with assisting with the maintenance of strong bones and teeth, helping support the functions of the immune system and contributing toward normal muscle functions. Vitamin D is needed for normal growth and development of bone in children. Lichen complex providing high potency vegan vitamin D3, stearic acid, vegan cellulose. Vegetarians and for people with Candida and yeast sensitivities. Wheat; yeast, starch, gluten, soy, added sugars, colourings, flavourings and preservatives.